I don't get to sew too many baby girl clothes over here in this house. When I get the chance, I kind of geek out. My friend just had a gloriously delicious little baby girl. I used that as an excuse to get my sewing on. 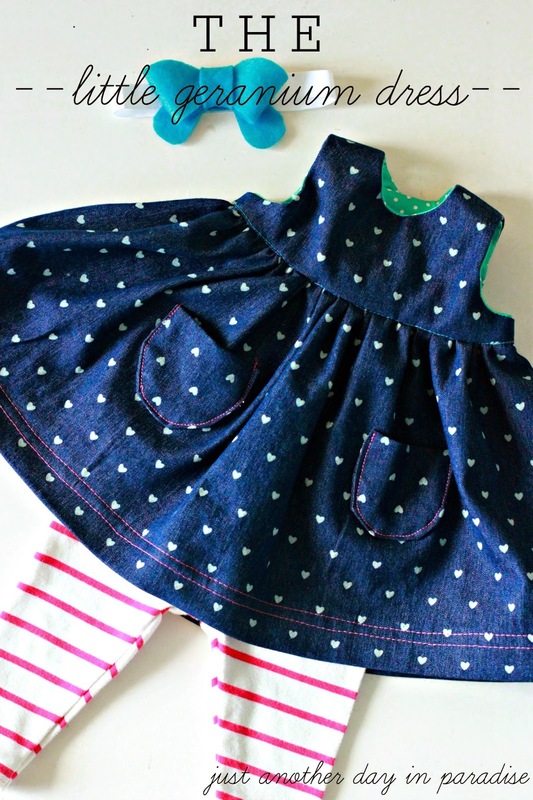 I chose to center my baby girl gift around the ever popular and always amazing Little Geranium Dress, which is a free teeny version of the Geranium Dress by Made by Rae. 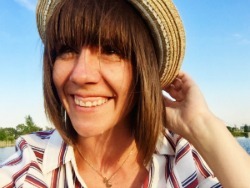 Rae is a pattern making genius people. Some of you that have hung around here a bit know how I struggle with patterns. This is a great pattern. The pattern walks you through the construction and it is so clear. This is the most professional looking garment I have produced to date. 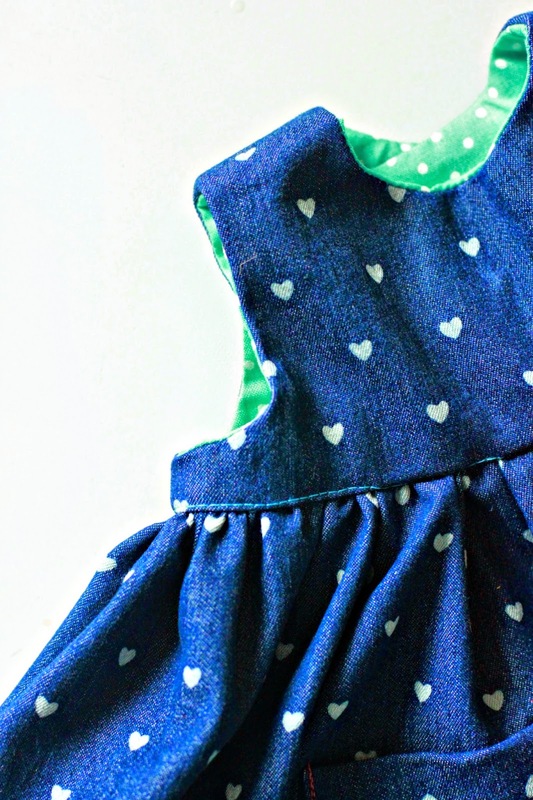 I chose a heart print light denim for the main dress. 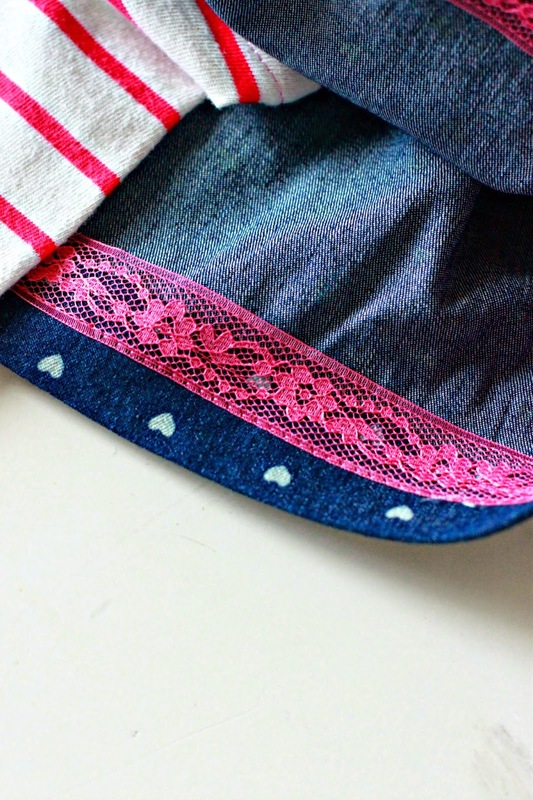 The lining is a simple cotton polka dot. I went back and forth between hot pink buttons to go with the tights or turquoise to go with the lining. I obviously went with turquoise. I added hot pink accents other places. 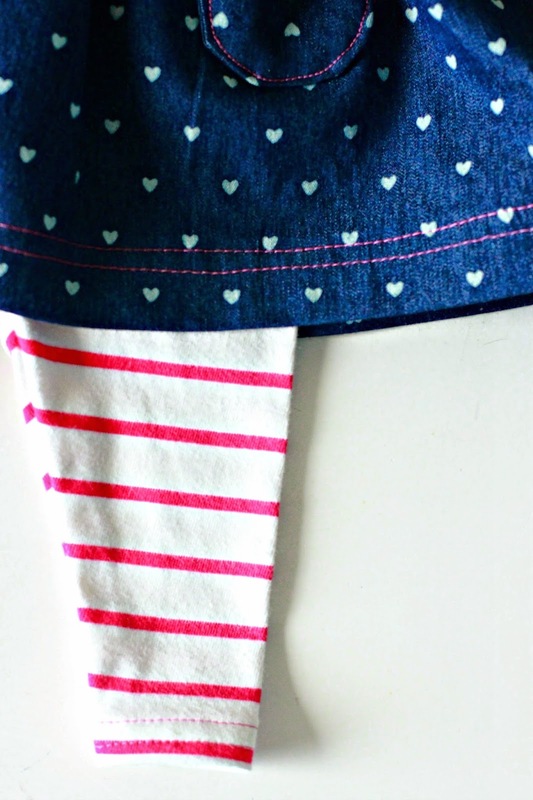 How cute are these itty bitty pockets? I also sneaked in a flash of hot pink on the inside. I used a little lace hem tape to polish off the inside. The tights were made from one of my old shirts. I used Baby Go To Leggings pattern. This pattern is a free download. However, it only goes as small as 3-6 months, so I just sized the pattern down and made these for a 0-3 month baby. This pattern, too, is fantastic. 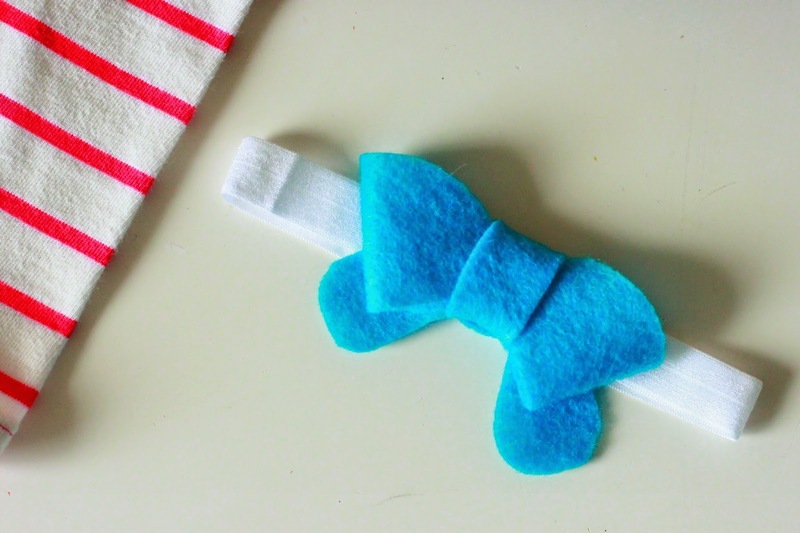 I made this felt bow thanks to the free template from Kiki and Company. I am pretty sure I am going make like a million more of these. Now I just need to find some more baby girls to make outfits for. No, not my own. I guess my friends better start having some little girls. Oh I love this dress. Thanks Rae for the amazing pattern. 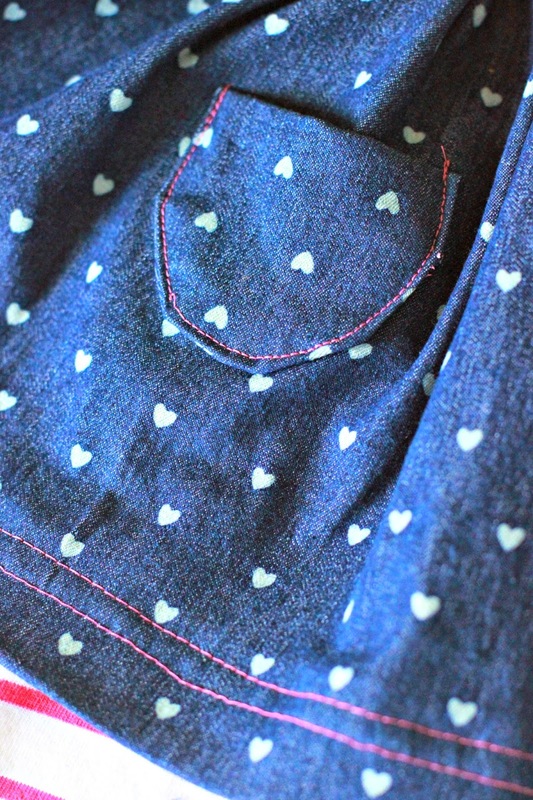 Oh my gosh, the heart print denim is adorable. 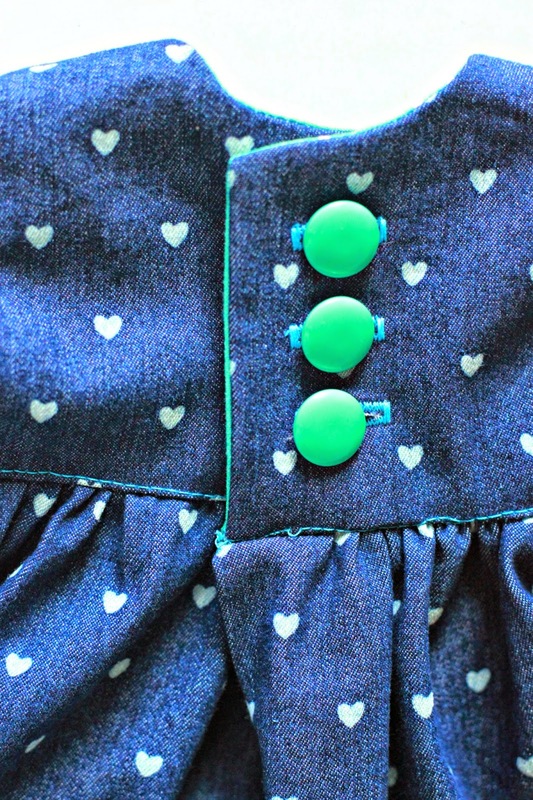 And the green buttons were the perfect choice! 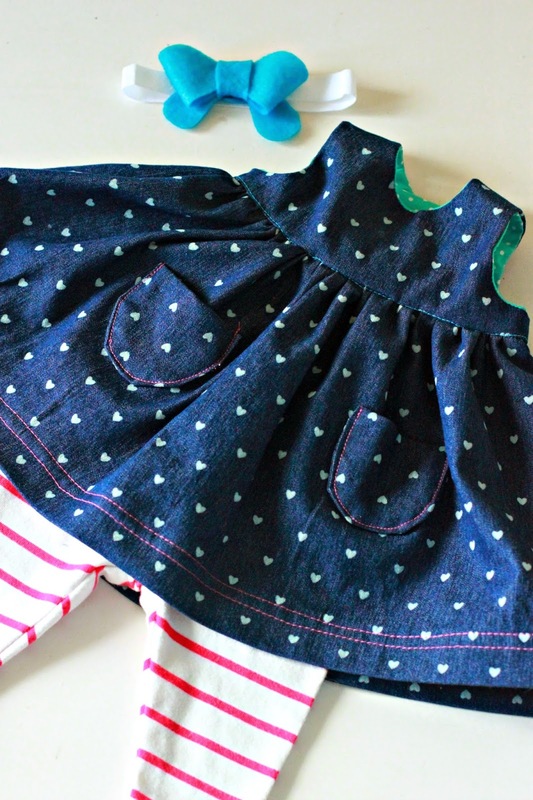 What a lucky little girl to get such a gorgeous dress!